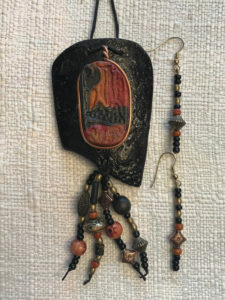 Each uniquely shaped gourd shard is covered with embossed texture. 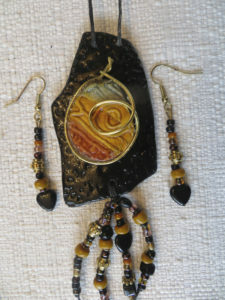 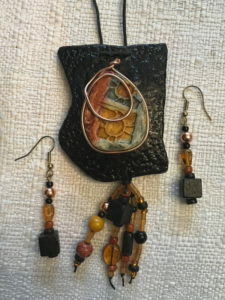 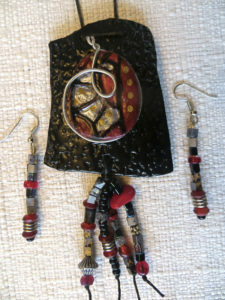 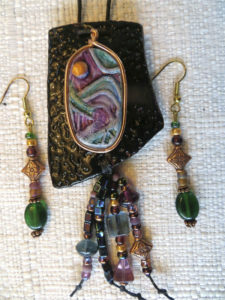 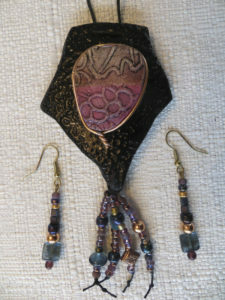 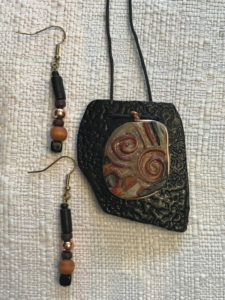 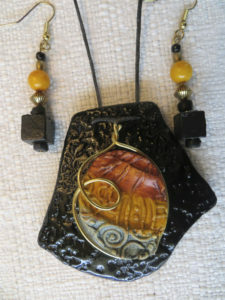 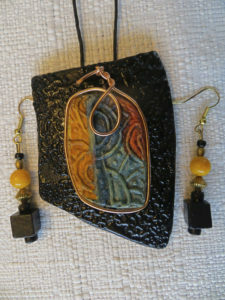 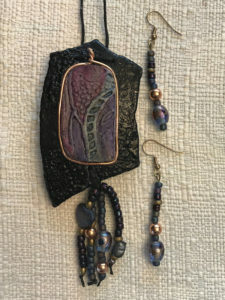 The porcelain “jewels” are high fired and stained with layers of color to create translucence then wire wrapped. 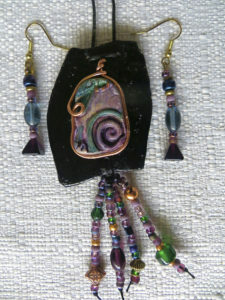 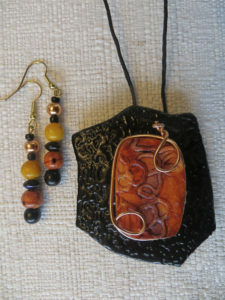 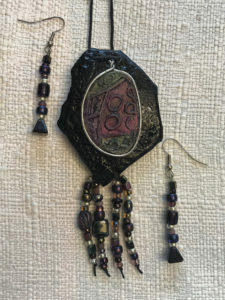 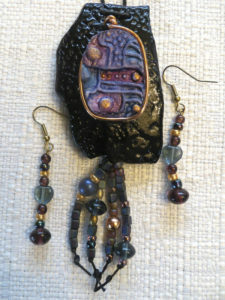 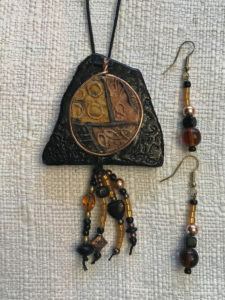 Earrings and beads are carefully chosen to compliment the colors. 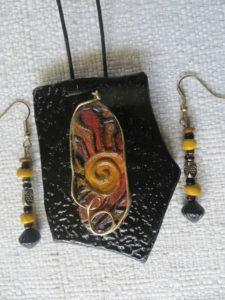 Each comes with a linen cord and are very light for all day wearing.